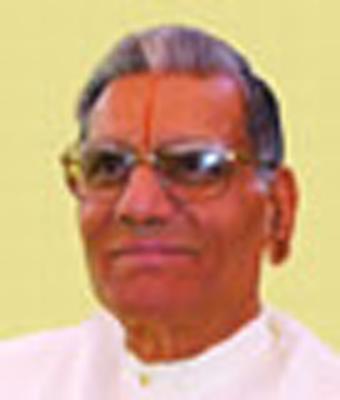 Shri Rameshwar Lal Kabra, founding member of the Ekal movement was given the Padma Shri award, the fourth highest civilian honor given by the Indian government. 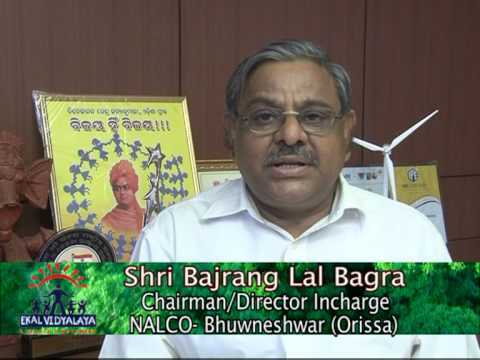 A leading industrialist and a true visionary, Shri Kabra has worked hard to ensure the success of the Ekal movement. He has seen it grow into a national movement reaching over 60,000 villages. 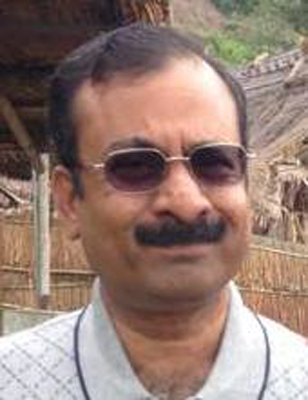 He currently serves as the chairman of the Friends of Tribal Society (FTS), an arm of the Ekal movement that raises funds in India to support the Ekal movement. 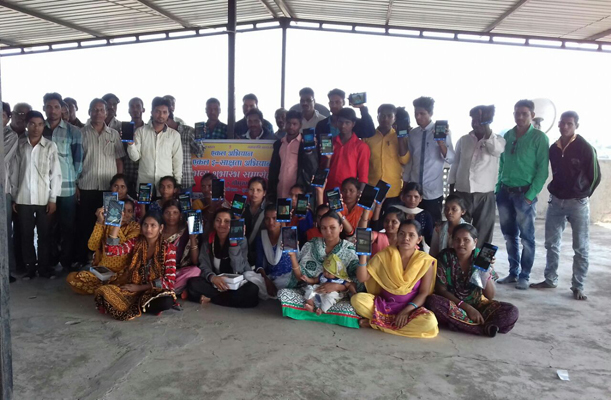 FTS provides funds for nearly 30,000 Ekal schools. Ekal is blessed to have the leadership, vision and support of Padma Shri Rameshwar Lal Kabra. 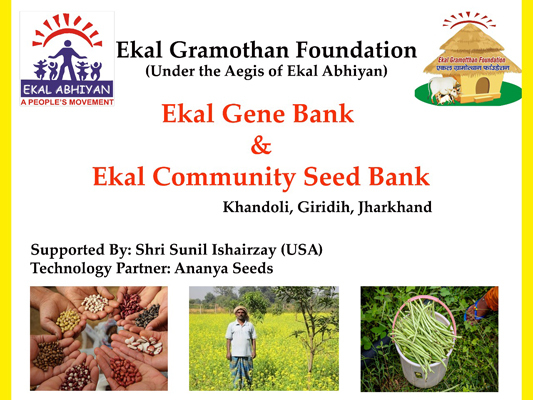 To conserve, manage and promote indigenous seed varieties, Gramothan Foundation has established 'Ekal Gene Bank' and 'Ekal Community Seed Bank' in Giridih, Jharkhand. 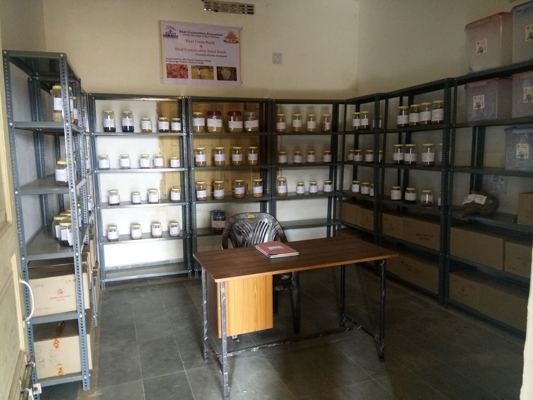 The banks will be managed through the active participation of farmers and will provide them free and easy access to diverse and locally adapted varieties of seeds. The project is being supported by Shri Sunil Ishairzay (USA). 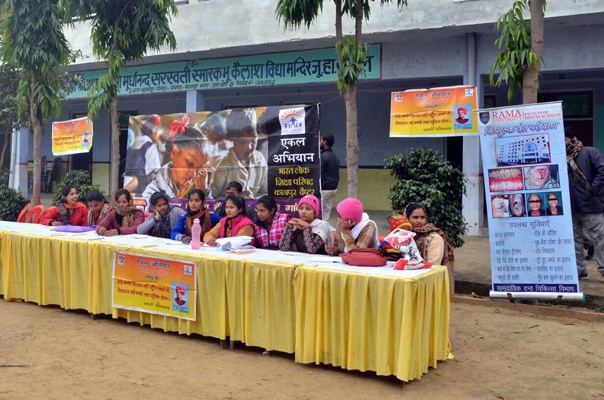 Ekal Kanpur Chapter in association with IMA Kanpur has organized a free health check-up camp on 31 December 2017 at BhuKailash Ashram, Khwajgipur village in Chaubepur district. Chief Guest of this camp was Shri Sameer Verma (ADM Law & Administration – Kanpur) and Dr. A M Khan President elect IMA (U.P State). In this free health check-up camp 12 different specialty doctors (approx. 30 doctors) gave their services. Approx 700 patients were given consultation along with medicines as prescribed by the doctors. These patients were thoroughly checked for Blood Pressure, Blood Sugar, Hemoglobin and Bone mineral density. Eye check up was also done and seven patients were diagnosed suffering from cataract. 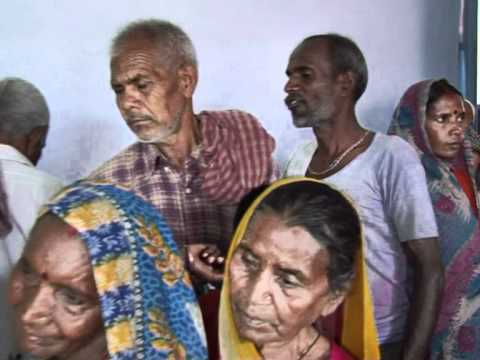 These patients were taken to Kanpur for cataract operation free of cost. A complete health record of these patients has been maintained by the chapter and will keep a strict follow up on these patients. 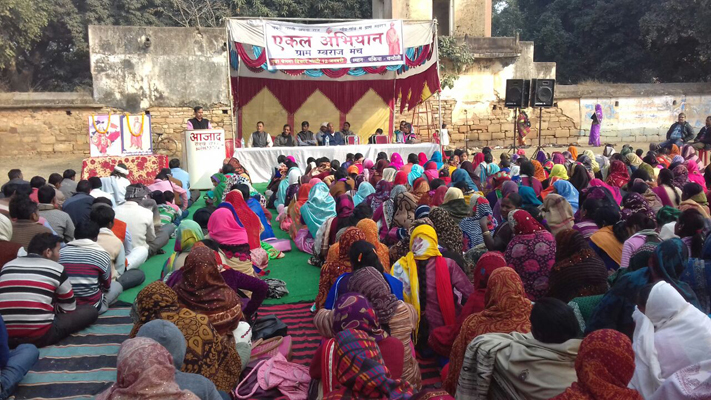 The Kanpur chapter has adopted two villages Fatehpur and Gabraha where they will monitor Blood Pressure, Blood Sugar, Hemoglobin and Bone Mineral Density of the residents of these villages on quarterly basis. 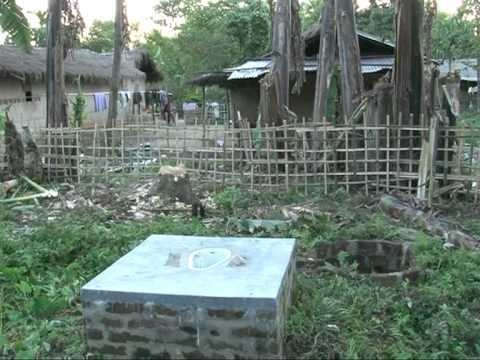 The chapter wish to make an overall health improvement of the villagers in due course of time. 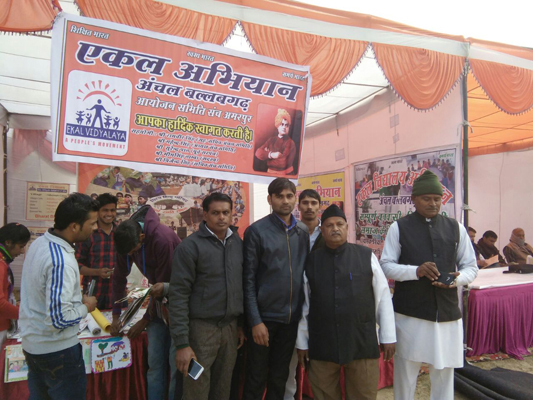 EKAL Abhiyan's Gram Swaraj Manch organized marathon race and seminars in village Chakia of Chandauli district and Gopalgunj of District Bhadohi. 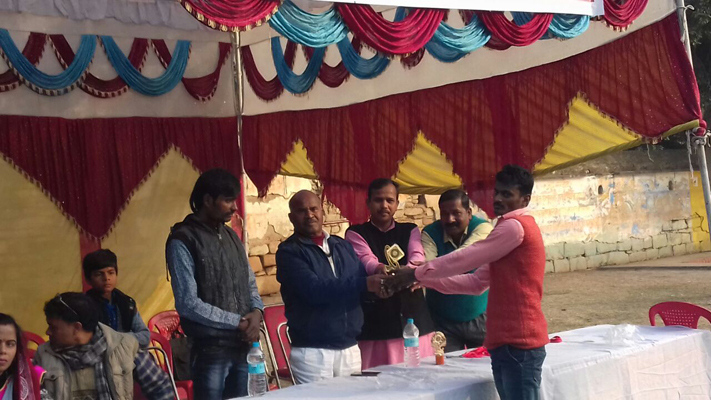 In Bhadohi the event was conducted in Gopignanj's Big Shiv temple premises.On this occasion Shri Raghavendra Saini, Shri Hari Govind Shahid, Shri Mahendra Singh Chande, Shri Om Prakash and Smt Kusum Lata were present. First, second and third places participants in the race were awarded. It is a matter of great pleasure for EKAL ABHIYAN that Shri Naresh Jain (Trustee of BLSP) has been nominated member of the Executive Board of National Institute of Open Schooling (NIOS), an autonomous institution under Ministry of HRD, Government of India by Shri Prakash Javadekar, Hon'ble Union HRD Minister, Government of India. 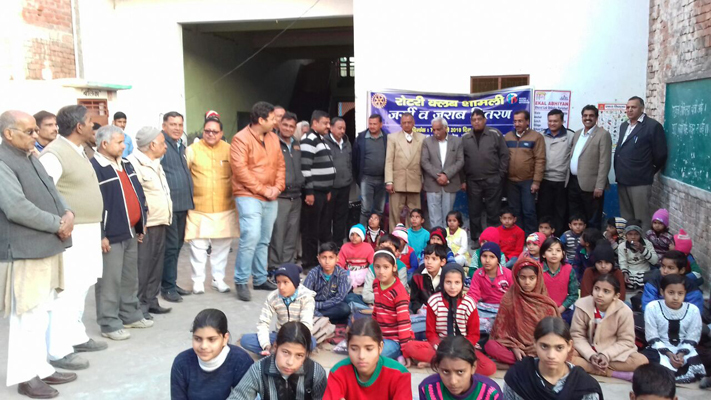 On 7th January, 2018 Shamli Anchal Samiti with the help of Rotary Club distributed socks and jerseys to students of Ekal vidyalayas in their Anchal. In this program, cultural performances were presented by the students which was greatly appreciated. 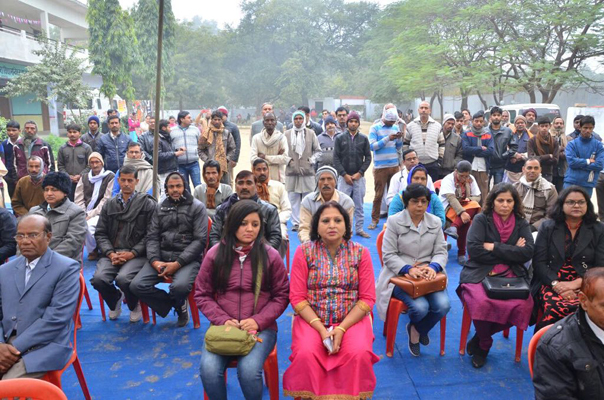 On 31st December 2017 a grand program was organized in Palwal named Samras Ganga. The event attracted about 15000 people. Ekal's Anchal Balbagadh also got the opportunity to have a stall in the exhibition on behalf of Ekal Abhiyan. Several governmental organizations and social welfare institutions participated. The Ekal stall was very prominent and the information on Ekal was given to all the curious people who visited the stall. FTS Mumbai celebrated their annual day on 19th December 2017. Film on Ekal was screened. Shri Vivek Oberoi, Bollywood actor and philanthropist, who was the chief guest was moved by Ekal movement and promised his support. Shri Atul Ruia, Managing Director of Pheonix Mills, was so impressed about Ekal that he gave Rs 21 lakhs to support its activities. 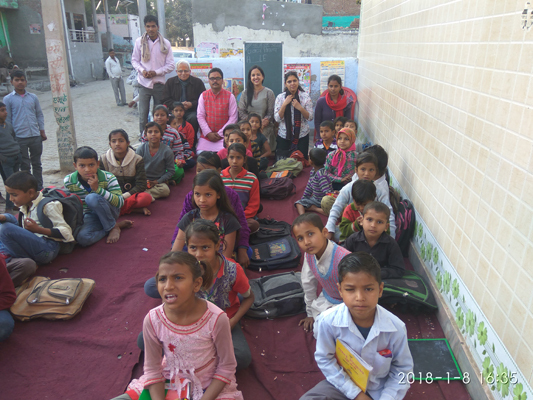 After a successful pilot project of teacher development and innovative learning through tablets in Nanakmatta sanch in Uttarakhand, Ekal Sansthan has initiated “Ekal E- Shiksha” initiative in six sanchs with generous support and contribution from US based supporters. Ukai, Gomukh and Narainpur sanchs in Tapi district of Gujarat, Gargaon sanch in Palghar district of Maharashtra and Karanjo sanch in West Singhbum district of Jharkhand were selected in addition to Nanakmatta. 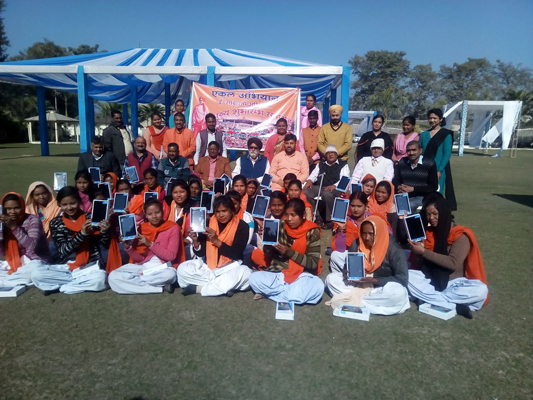 4 tablets per village -1 for Acharyaa and 3 for three gats (group) in a Vidyalaya shall be provided with pre-loaded educational videos and content for the respective user.In total 120 tablets shall be given to a sanch. Six project coordinators appointed in 6 sanchs underwent a two day residential training at Ekal Sansthan office in Okhla, New Delhi from 21st - 22nd December 2017. 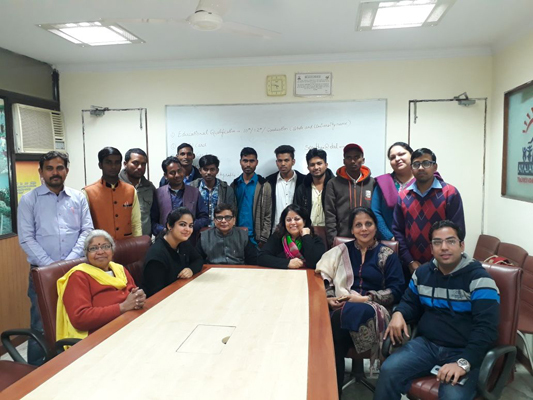 The training was imparted by Dr. Susheela Madan - Vice President, supported by Dr. Baljeet Kaur, Joint Secretary, Ekal Sansthan. All coordinators were well equipped with knowledge and guidelines to train all 30 Acharayas of their respective sanchs and also ensure the monitoring of the project through regular reporting. 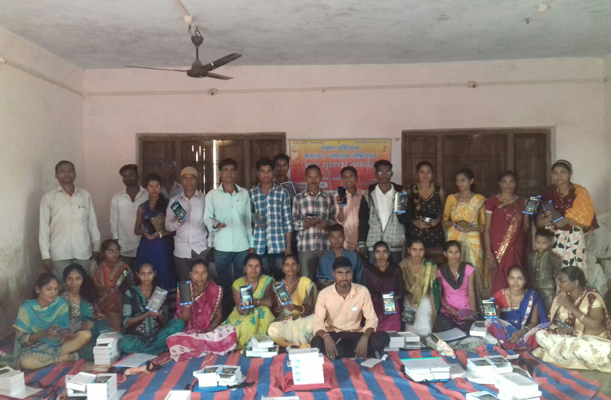 The objective and importance of digital training was explained to all followed by distribution of tablets and Acharya training by the sanch coordinator. The New Rath for Sanskar Siksha was made in Indore and donated to Nagpur chapter. Meeting was attended by Shri Shyam Gupta, Shri Bagra and Shri Ramesh Shah. They plan for expansion, fund raising, training of Kathakars in new Locations like Puri, Nasik, Tamilnadu, Telangana. Inside the Rath there will be room for 2 people to sleep and some space for cargo. 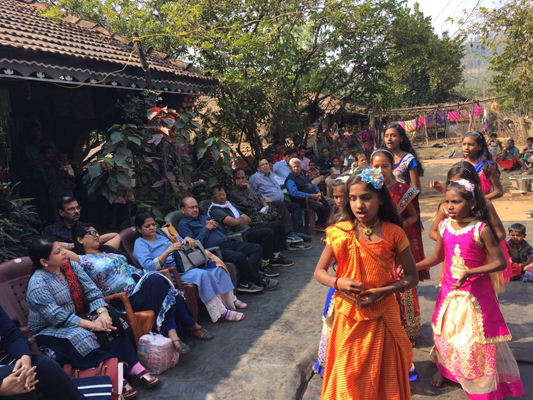 1st Jan 2018 FTS Surat chapter conducted a Vanyatra under the supervision of Shri Brijmohan Agarwal to Nanidhabedar Village. Mahila samethi president Smt Vijaya Kokada along with 35 persons accompanied. 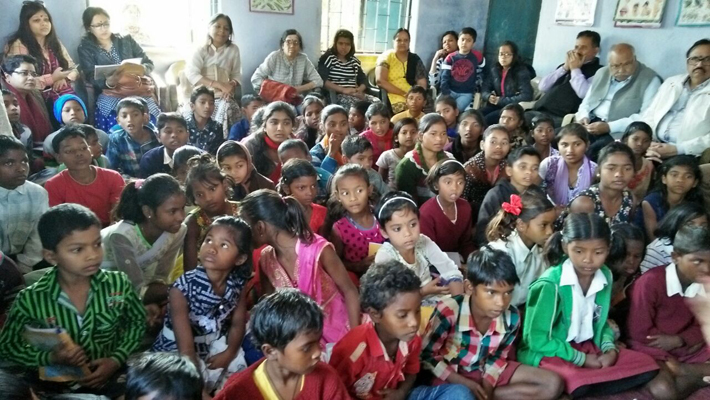 15 of them were new members who were visiting Ekal vidyalaya for the first time. 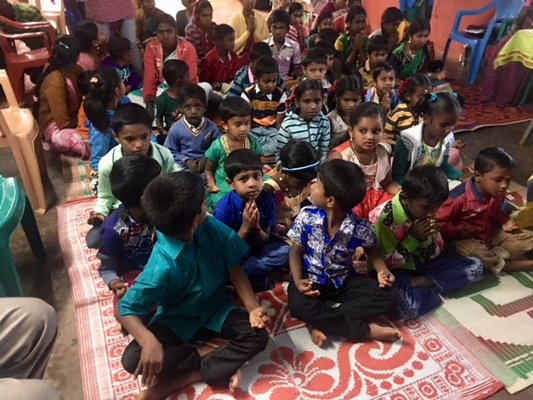 Everyone were happy to meet Ekal children who welcomed them with songs and other programs. The sanskar siksha was much appreciated. Every visitor assured their full support. 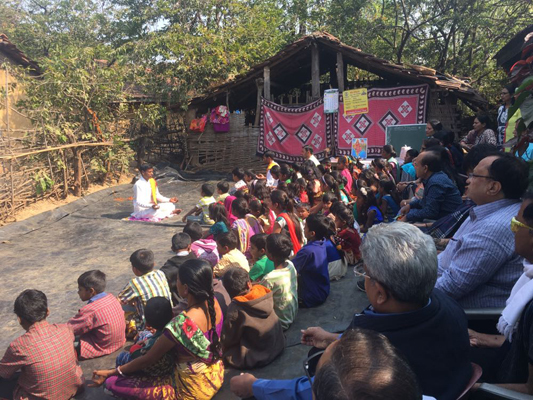 Vanayatra was conducted under the aegis of Ekal Sanstan and Vanbandu Parishad, Ranchi on December 17, 2017 in Patratu village of Jharkhand Ramgarh area. Ekal vidyalaya is running from last 12 years in this village. 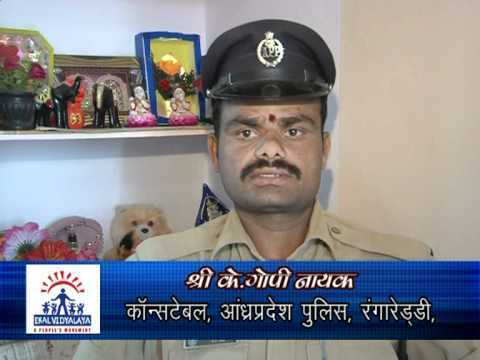 Gram Pramukh Shri Darshan Mahto says that Ekal has changed the life of children. These children are much disciplined, cultured and respect their elders. The best part is that no one needs to call the children to attend the vidyalaya every day, they come at correct time by themselves. 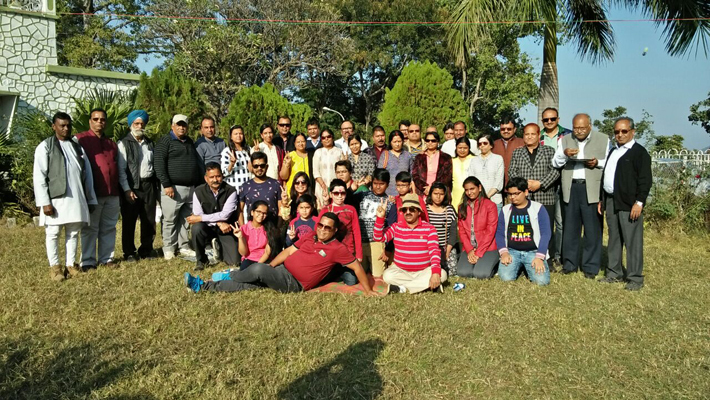 43 members including Shri Manoj Tulsyan and Shri Amrendra Vishnupuri made the trip. The children were given Cricket bat, Football and other gifts. 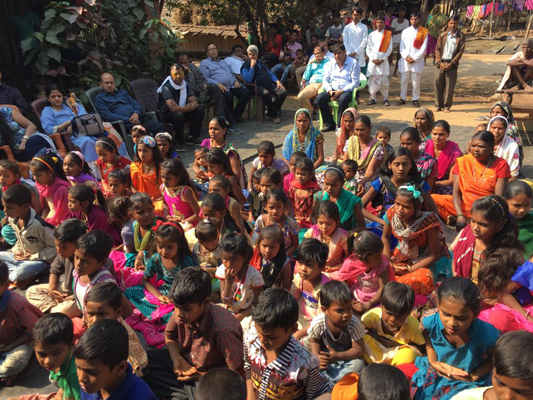 The Acharya in Valuvar colony village was very active and much liked by children and others in the village. She is so good that she is invited once or twice a week to teach in Christian schools. She was offered better salary but she did not accept. She is very much part of the community and prepares children for sports and academic competitions. Children come to study even from high school to learn dance, drama, yoga etc.It took more than 10 years to establish vidyalaya here. The way to Gundur Nagar was very risky. The slope to the vidyalaya was very steep. The visitors had to go down 100 feet walking. They had little difficulty while coming back. The Acharya had 3 rooms in her house. Uses one room for Ekal vidyalaya. She has a daughter who is doing her 2nd year Bcom and helps in teaching also. Ekal operates in such remote places creates pride. Student attendance in regular schools increases and Ekal students are toppers in school in education and extra-curricular activities. The visit was coordinated by Shri Harish Karat and Smt Pungodai from Coimbatore. 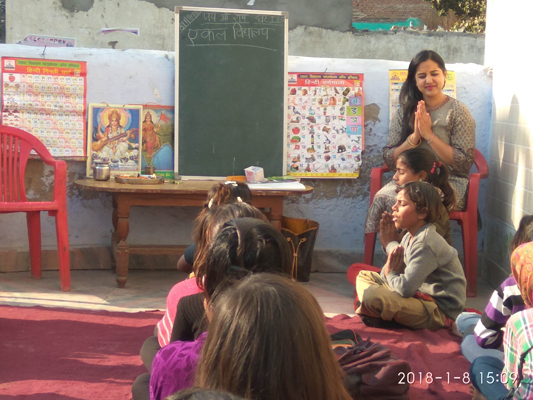 Ms Sheetal from Canada visited Chaumuha village in Mathura, UP. She interacted with the enthusiastic children there. Played with them and also conducted some activities which exited the children. 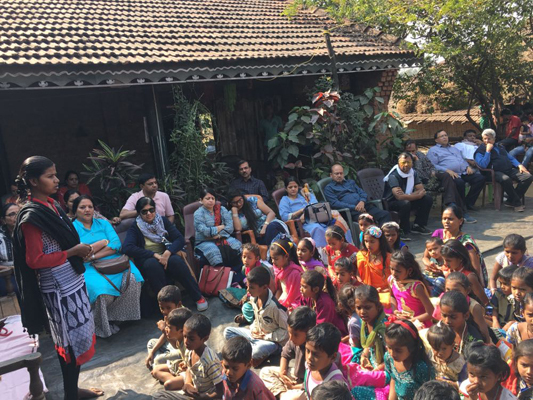 She loved the village, children and Acharya so much that she recorded their interest and plans for Ekal and what pulled them to Ekal and what motivates them to sustain that interest. 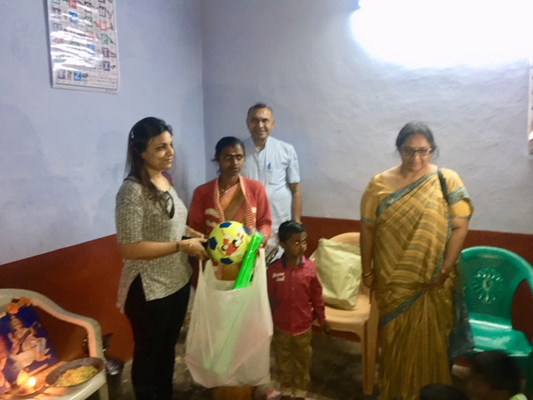 She was thrilled to note that the Acharya Shri Kantan and all members of his family were very deeply involved with EkalMs Sheetal from Canada visited Chaumuha village in Mathura, UP. She interacted with the enthusiastic children there. 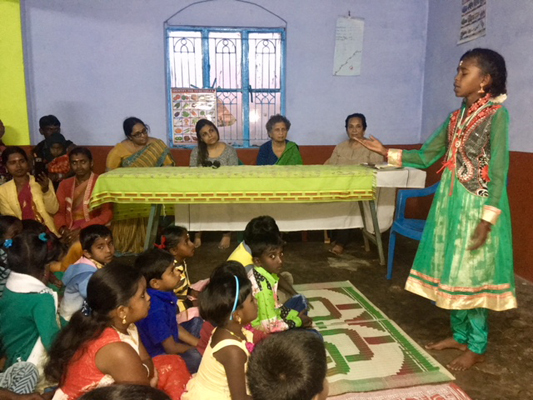 Played with them and also conducted some activities which exited the children. 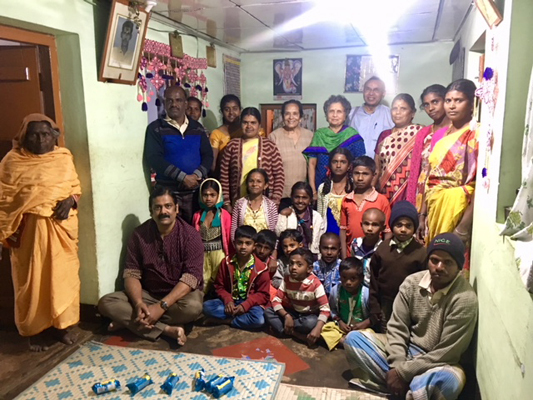 She loved the village, children and Acharya so much that she recorded their interest and plans for Ekal and what pulled them to Ekal and what motivates them to sustain that interest. She was thrilled to note that the Acharya Shri Kantan and all members of his family were very deeply involved with Ekal..